Join us on Sunday, December 16 at 11:00 a.m. for a special service of Advent Music. The Choirs of First Presbyterian Church, Chamber Orchestra, and Organist & Director of Music, Jeremy Roberts, will all join forces to lead a festival worship service with music and readings based around the Magnificat. Dinner is served in Gardner Fellowship Hall at 5:30 and followed by a youth-led interactive worship service in the Sanctuary at 6:30. This Moravian tradition is a meaningful experience for adults and children alike. This is a unique worship experience of song & prayer, candles & coffee, and of course sweet Moravian cookies! Worship begins with a prelude by our youth band, and is led by our youth with assistance from both of our Children’s Choirs. Come enjoy brunch refreshments as we begin to observe the Advent Season. Receive a Godly Play at Home Advent Story Set to enter into the wonder and mystery of experiencing the season. One Sunday morning each quarter, we ‘provide breakfast for our downtown ‘neighbors in Pritchard Park. We gather to prepare the meal (biscuits, fruit and juice) and then deliver it to the park to share. We have a full group- thanks FPCA! On November 18 we will receive our annual special offering to benefit the ministry of the Black Mountain Home for Children, Youth & Families. The Thanksgiving Offering helps meet the $1 million annual Every Day Fund goal that supplies the daily needs of the youth ranging from socks and shampoo to gasoline and electricity. For more information about this important ministry, contact executive director Tom Campbell (828.686.3451) for a visit. Volunteers Needed to Join the FUN! RSVP helpful – but come either way! Anyone who would like to help serve our downtown neighbors is invited to meet in the FPCA kitchen at 8:15 a.m. We need you to bring soft fruit, (grapes, bananas), orange juice, and/or hard boiled eggs to share. We will walk over to the park around 8:45 a.m., returning by 9:45 in time for the Congregation-wide Forum faith development class. Thank you! We will see you Sunday Sept. 23. You can call the church office to reserve a ticket and we will all sit together. * children under 5 who do not require a seat (are held) are free. Meet in Lake Powhatan parking lot near beach and picnic area. Day use fee $2 per person. Bring water bottle, picnic food and swim gear if you desire for playing in the water. Sunscreen and bug spray may be helpful too. Hang out after the hike! Bring a picnic lunch & play in the creek. Summer Pickup Choir: calling all singers! Calling all adult, middle school, and high school singers. Join us for a fun pick up choir at 11:00 a.m. worship on Sunday, July 8th. Come to the Choir room at 10am on the 8th. You do not have to be in one of the FPCA Choirs to sing. All are welcome! computer, art, drama and puppets. Led by many dedicated volunteers over the years, the children in our congregation have taken important steps on their faith journey as they gained a deeper understanding of the bible stories and have grown spiritually. We hope to recognize all who have participated as teachers, shepherds, coordinators and children. Come join us in honoring all those who have been on the journey! Since 1967, the mission of the Child Care Center has been to provide children with the highest quality of early childhood education and guidance in a loving, nurturing environment with committed, competent and caring staff. 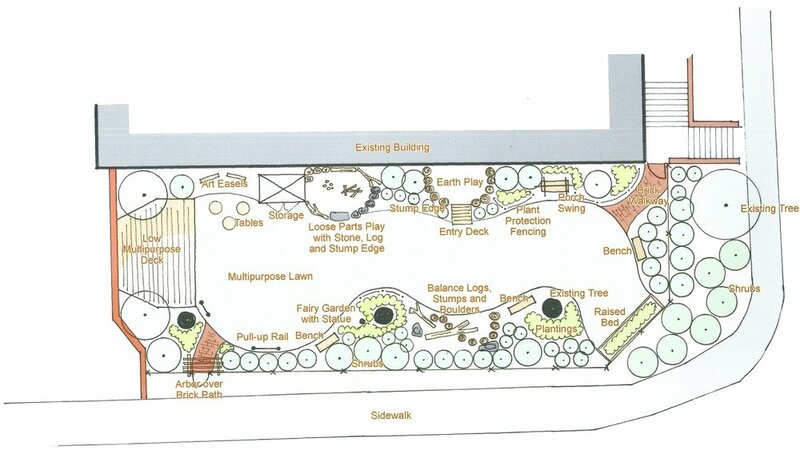 This year the offering will be used to support the completion of a new, natural play space on the Church Street side of our building in memory of Rebecca Reinhardt. The playspace design, which is by the Natural Learning Initiative of NC State, is also available to see in the Wallace Foyer and will be in the bulletin on Mother's Day. Through our generous contributions we can complete this playspace, which will be used by both church and Child Care Center children. If you are not able to make an offering on Mother’s Day, checks payable to FPCA (earmarked for the Child Care Center) can be mailed to the office or you can make a gift online anytime. Youth, Cherub & Chorister Choir Supper & Celebration! The entire FPCA family is invited to an end of the year celebration for our choirs on Wednesday, May 9th. We will gather in the Fellowship Hall for dinner at 5:30. Then at 6:30 we’ll move to the sanctuary, where both choirs will perform a program highlighting the music they have learned this year. And who knows, you may be invited to join in the music making too! about reducing waste and moving toward zero waste. 9:45 a.m. Sunday School classes for pre-K through fifth grade will not meet as usual. Instead children and their parent(s)/grandparent(s) are invited to the Fellowship Hall where children will make and add creatures to a mural of God’s creation, participate in a recycling relay, make new candles from old, mix-up a non-toxic cleaner, create a poster of recyclable and compostable items, tie-dye coffee filters and visit the Recycling Education Vehicle outside. Adults and parents who aren’t having fun with children are invited to Cam Murchison’s presentation, “The Fire This Time: Biblical and Theological Grounding for Responding to Climate Disruption,” in Room 213. Exhibits for additional information will be set up in the Wallace Foyer. Sundance Solar will have staff ready to talk about solar installations and rebates for the church and residences. Asheville Greenworks will provide information on recycling and composting, and the Creation Care Team will offer ways to get involved. After a light lunch, two workshops will discuss practical ways to moving toward zero waste. Dargan Gilmore from Raleigh will speak about how families can reduce waste at home and have fun doing it. Beatrice Nathan from Cool Communities will expand that discussion to include reducing energy and water use, driving and food consumption from a workbook titled, “Low Carbon Diet.” Another option is Asheville GreenWorks’ Christine Brown’s workshop that will cover reducing waste by home recycling and home composting. As Christians, we have a responsibility to take care of the earth that God has entrusted to us. Join the Creation Care Team on April 29 to learn and practice basic ways of being good stewards. Contact Jane Laping 828-277-7342 for more information. To share your interest with Creation Care, complete this quick survey. First Presbyterian Church Asheville is partnering again this Spring with Ministry of Hope the Chaplain’s Program at Swannanoa Correctional Center for Women to Host a Mother-Child Retreat Monday, April 9 & Tuesday, April 10. Swannanoa is a minimum security state operated facility. A small group of about 10 incarcerated women will be invited to spend two days and one night with their children ages 2- 11 at the YMCA Blue Ridge Assembly in Black Mountain. FPCA will provide host site volunteers for those 2 days including providing 4 meals and snacks. The children will meet their mother’s on Monday morning April 9 spend the night, and return to their caregivers home on Tuesday afternoon April 10. It has been recognized that children need quality, supervised time with their mother, especially while she is incarcerated and cannot see them regularly. Children face tremendous loss and sadness over their separation, and young children often have a lot of fear about what is happening to their mother. Mother’s also benefit and gain skills in interaction with their children before time for their release. FPCA has taken on this important ministry, with a long tradition of area churches hosting the retreat. Godly Play is a Montessori-based Christian method that uniquely honors each child’s spiritual journey, based on the recognition that children have an innate sense of the presence of God. The Godly Play method offers room for silence and contemplation while a simple Bible story is told. It includes a series of open-ended wondering questions to invite children into experiencing the story and creative opportunities for multi-sensory activities. Purchase a story set in honor or memory of a loved one. See the display in the Powell Atrium on the 1st floor for specific information. Make a general donation to support the on-going costs of the program. Volunteer to help organize and set up the rooms. Participate in Godly Play training and join a ministry team of storytellers or room hosts. You can Give Online HERE! Check all that apply. You can go to our Ways to Give page and make a general donation online today! Thank you for indicating your interest! We have a display in the Powell Atrium for specific story sets available for purchase. One of our Children's Ministry Team members will follow up with you soon. Godly Play is a Montessori-based curriculum that shares the stories of our faith in a way that recognizes the unique sense of the presence of God that each of us already have -- whether 3 or 93. There is room for silence and contemplation while the simple story is told and includes a series of open-ended questions intended to enhance creative interaction with the story and opportunity for experiential response. March 4 - Parents are invited to experience Godly Play during Faith Development. March 11 – Congregation wide initiative- “Sponsor a Story” - help offset the start-up cost of new curriculum. Following Jesus Through Holy Week & Easter! During the month of March Bible Journeys K-5th grade will learn about events in Jesus life during Holy Week and take home activities for families to observe during Holy Week and Easter. Fill Bank with coins! Put in a few coins daily in your fish bank each time you brush your teeth, or eat a snack. Your gifts may help a community buy fish nets, farming tools, supply a village with clean water or help in other ways to provide assistance during times of disaster, helping refugees or with resettlement or community development. Bring filled fish bank with coins on Easter morning as we share God’s love with people experiencing need. Egg Hunt and FUN for children birth -5th grade! Meet on the Children’s Hall at 10am for refreshments & crafts. Separate hunt for younger and older children. Egg hunt will be outside weather permitting! Join us following dinner for a unique worship experience of song & prayer, candles & coffee, and of course sweet Moravian cookies! Worship begins with a prelude by our youth band, and is led by our youth with assistance from both of our Children’s Choirs. DONATIONS for Love Asheville 2017! Thanks to all who have signed up to participate in Love Asheville on October 29! We have over 100 participants in the morning and 70 in the afternoon, spread out over a variety of mission opportunities. Many of our groups are at capacity which is awesome! If you have not signed up but want to participate, contact us about available spots. Registered participants should receive an email with important details about your mission group, along with contact info for your team leader. Team leaders will contact you if further information is needed. Beginning this Sunday 10/22, we are inviting the entire congregation to consider these additional ways to participate. Donations of goods can be brought to the Wallace Foyer - simply label what your donations are! Make a donation to support our CROP Walk team. We are receiving checks payable to FPC-A / earmarked for CROP. Cash donations will be received at the Love Asheville table in the Wallace Foyer. In addition to local funding for MANNA Food Bank, Loving Food Resources & ABCCM, CROP Hunger Walks help with international relief efforts providing food and water, as well as resources that empower people to meet their own needs. We are collecting new and gently used men’s and women’s athletic shoes and boots, and new tube socks for the shoe pantry at the Church of the Advocate. We are collecting paper towels, toilet paper, all purpose cleaner, dish washing soap, clothes detergent, garbage bags, and toiletries (shampoo, conditioner, deodorant, soap) for Homeward Bound’s Welcome Home Donation Center. For our Mission Fair we are collecting these Care Kit items to share with neighbors who may experience homelessness: toothbrush, travel size toothpaste, lip balm/chapstick, deodorant, combs, wash cloths, socks (adult & children), hot hands/hot feet, soft granola bars, peanut butter crackers. Thank you for your willingness to share yourself in ministry on October 29! Remember, we will gather for worship in the sanctuary at 4:30 PM to celebrate the love we have shared throughout the day. Don’t hesitate to let us know if you have any questions. Beth Cummings, Mission Committee Chair (828-777-3243), Associate Pastor Michael Poulos (mpoulos@fpcasheville.org). PIECES OF THE PAST, PRESENT, AND FUTURE; FITTING IT ALL TOGETHER! 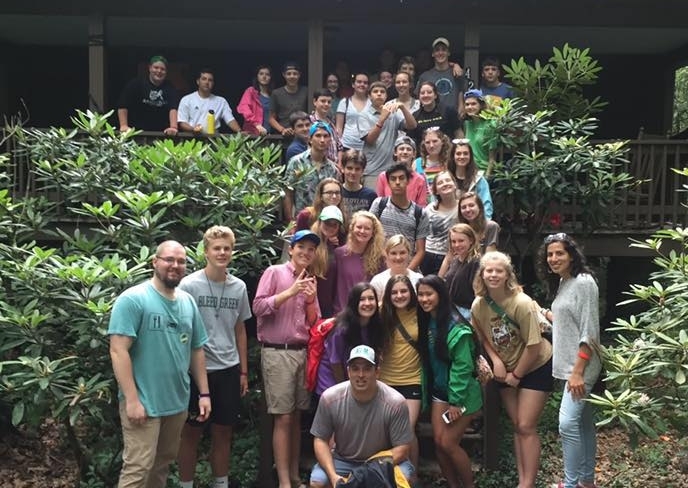 We will spend some time at the retreat getting to know ourselves and each other better, getting in touch with who we are as the people of God in this place and time. What’s our story? Where has God been at work in the past through this church, and where is God working now? What gifts has God given us that we can use to serve one another and our community? For the Schedule, Check In information & What to bring- CLICK HERE! contact Nancy McNeill with questions. Advent Carol Service: led by Choirs of FPCA!!! Join us at Montreat Conference Center for Advent in September! As a feature of the Montreat Worship & the Arts Conference, the Choirs of First Presbyterian Church of Asheville will lead an Advent Carol Service in Anderson Auditorium at 7:00 p.m. Wednesday, September 27th. 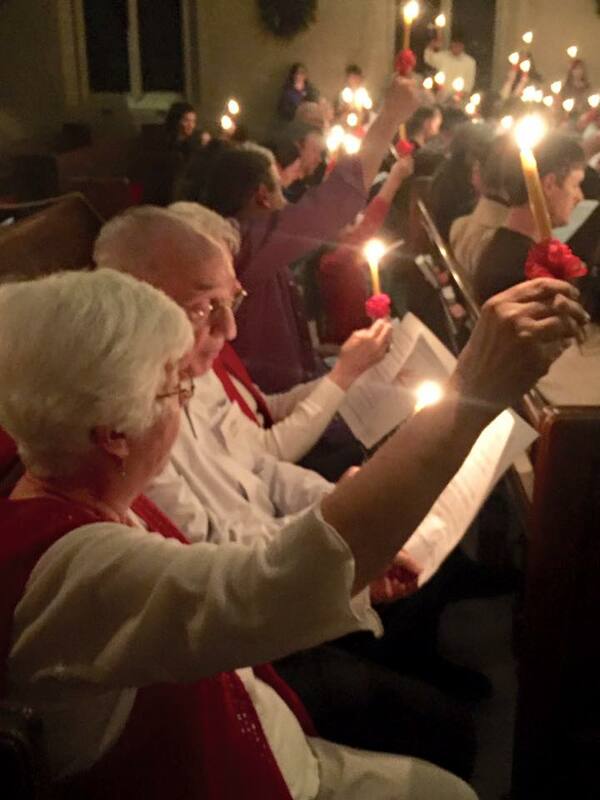 The service aims to capture something of the Advent longing and hope characteristic of the season. It features anthems and hymns by composers both ancient and modern. The service is structured around the great Advent Antiphons, known as the Great “Os”. These were sung originally as responses to the Magnificat at the Evening Office of Vespers from the 17th to the 23rd of December. Readings from scripture, anthems, and congregational hymns reflect on the theme of Christ who comes to judge and save his people. The public is cordially invited to take part in this unique and beautiful service. Development, to help care for our littlest church members. Please see the signup sheet in the nursery hallway or use the form below to sign up. Thank you from our little ones!! If you know your availability or have some dates in mind, share it with us here. Let us know if you do not have any preference. Thank you! Marilyn Cortes or Nancy McNeill will be in touch with you soon. 2-5th Grade CHORISTER CHOIR KICK-OFF! All 2nd- 5th graders are invited! Meet with Jeremy Roberts, Choir Director! Welcome, Registration, Rehearsal & Parent Meeting; Pizza Supper provided & childcare for non-choir children. We can add your info/email to our list for future participation. This will be the 26th house jointly built by local Presbyterians and Methodists and will be built in Arden. The home owners are delighted about the prospect of moving from a substandard rental unit to a safe, permanent and affordable home of their own to raise their toddler and a new born due when the house is completed. Our annual Habitat Offering to contribute to the cost of the 2016 Presbyterian-Methodist House. The churches are working to raise a significant portion of the $55,000 cost of construction. Light Brunch will begin at 9:30 a.m. in the Fellowship Hall. 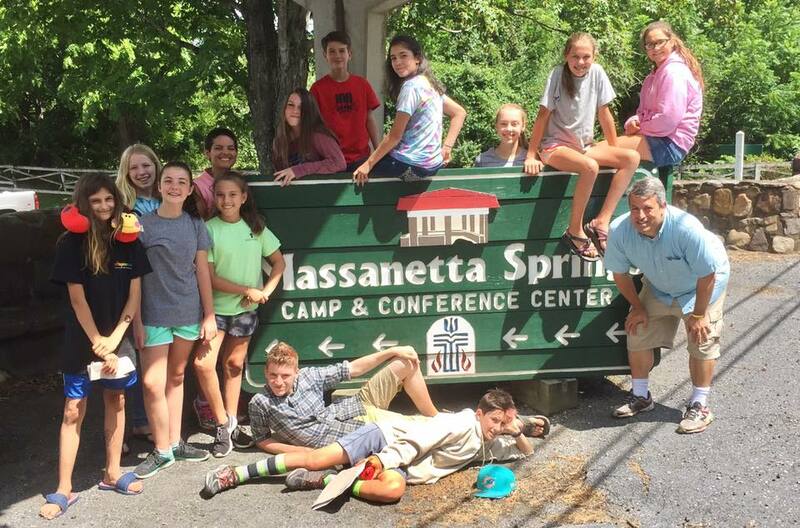 Grab some refreshments and enjoy the program (9:45 a.m.): FPCA Youth Living their Faith! Our youth share about their Summer Youth Events. These experiences are transformative ones for the youth and adults who participated. For many of our middle and high school youth these events are a highlight for their summer and would not be possible without congregational support! ORIENTATION ON THE CHILDREN’S HALL 9:45 a.m.
New Kindergarteners—5th graders and their parents are invited to an orientation to learn about the FPCA Bible Journeys Program and meet some of our Nursery & Children’s Ministry Team. YOUTH CHOIR KICK-OFF 4:30 p.m.
All 6-12th graders are invited to join the Youth Choir– meet at FPCA in the music room. Contact Jeremy Roberts with questions.